Situated 4 miles from the Guest House or roughly 10 minutes’ drive, Aberystwyth is a large seaside town, known for its University and breath taking beauty. When driving from Bow Street the first place you will reach is the University on Penglais Hill, whilst a wonderful campus to just explore, guests looking to experience some local culture could check out the Aberystwyth Arts Centre for current plays and art film screenings (pamphlets for show times can be found in the lobby). There also various cafés and food outlets on campus. Heading further into town a wide variety of shops and restaurants can be accessed in the main street, Great Dark Gate Street. For recommendations please ask one of our staff members. Aberystwyth is lucky to have a wealth of general high street stores, as well as a rich variety of family run and privately owned businesses. The train & bus stations are a short walk from the main street. Various connections can be made from here, though the Vale of Rheidol Railway steam train service to Devil’s Bridge should be noted as a scenic route for all to enjoy. During your visit you should make sure to take a stroll along the Victorian promenade. It is highly recommended as one of the best ways to enjoy the beautiful landscapes. The promenade stretches 2km from south to north and is a very popular area for walking, especially in the summer. Do make sure to "kick the bar" at the north end of the promenade - a long established tradition here in Aberystwyth. Along the north side of the promenade The Royal Pier can be accessed. Equipped with bar, arcade, doughnut shop, snooker rooms and restaurant it’s definitely worth a visit. During the winter months, enjoy the spectacle of one of the largest urban murmurations of starlings - usually from November to March. Constitution Hill can be found at the end of the north promenade to the right of the Pier as you face the Irish Sea. Roughly a 15 minute walk to the top it’s certainly worth the effort for the panoramic view of the town. There is also a small funicular railway to the top, with views extending as you travel upwards - this is also the longest funicular electric cliff railway in Britain! On a clear day you can see the peaks of almost 28 mountains, and can also enjoy the Victorian Camera Obscura - offering brilliant views of the town. 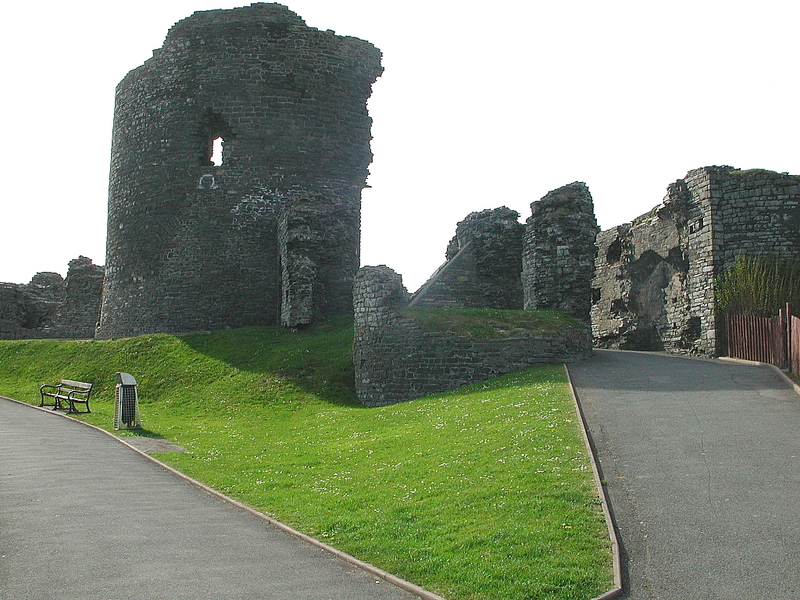 The other end of the promenade will take you to Aberystwyth Castle Ruins, a great spot to have a picnic and absorb the ancient history of one of Wales’ once greatest castles. If you're unlucky enough to arrive on a rainy day, Aberystwyth has a fantastic Museum in the old Coliseum theatre. Families looking for an all day activity should consider Fantasy Farm Park situated in Llanrhydstud. It’s only an 11 minute drive south of Aberystwyth and with Go-carts, boats, petting zoo, kids play area and much more there’s plenty to fill your day!